Our company is a reputed organization in industry engage din the manufacturing and supplying of Tour Guide Systems. Offered products are made to suit the needs of our customers. 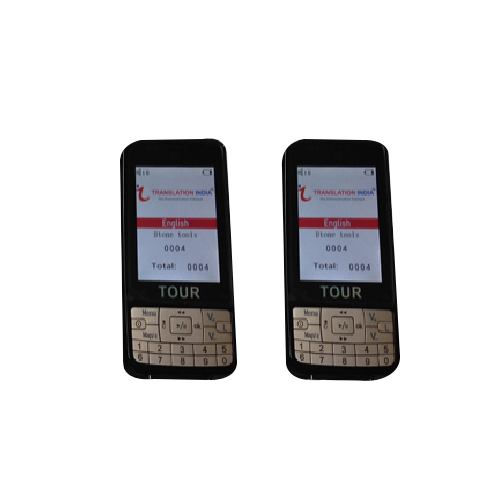 The Audio Mp3 Tour Guide Systemis a simplified version, the visitor can activate the playing of Audio by selecting the number keys on the device keypad. The Audio Mp3 Guide System is a well-accepted product due to its simple operation and good media format support. In the past many years we have successfully provided thousands of devices for several clients. It has a simple to operate and lower cost which can meet all our client's requirements. Whether it is a quiet or noisy environment, a small or large group, several different groups or just one, with or without an interpreter, with or without a tour guide, audio in combination with visual applications. 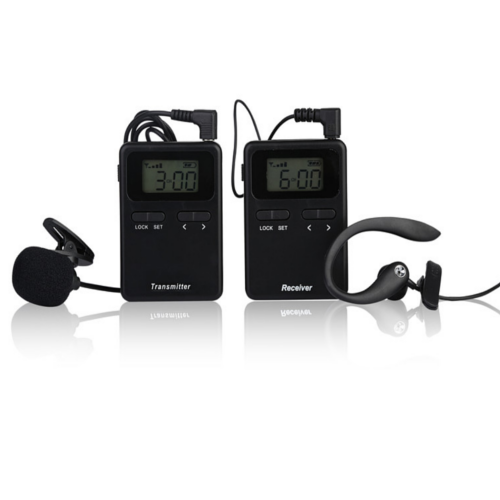 Translation India is the right partner for Sennheiser Tour Guide System. 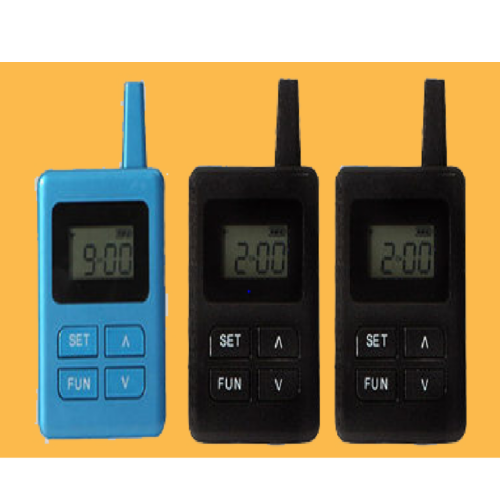 It provides two operating modes, a tourguide and a conference mode. In mobile tourguide use 6 channels shall be usable in paralel, 8 in the conference mode in combination with a stationary transmitter. The volume wheel is easy to access and to control. On a backlit LC display all informations of battery life, signal strength, channel and volume settings are provided. A clip allows the receiver to be worn on clothing or a lanyard. The included rechargeable battery provides an operating time of 16 hours. The weight including the battery may not exceed 78g. 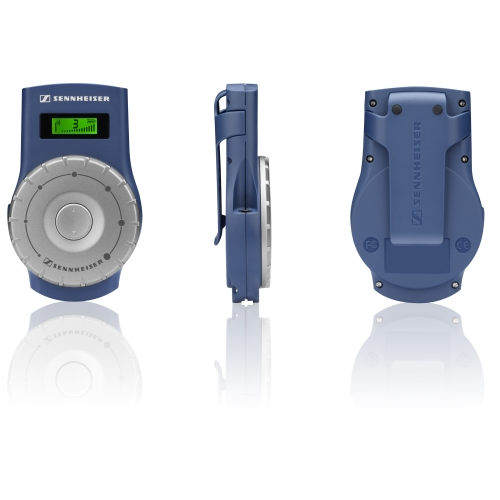 The bodypack receiver shall be Sennheiser EK 2020-D-II. We are leading rental service provider of1-Way Tour Guide System.This system is UHF based signal-processing system and works on any Kind of geographical conditions. We have tour guide systems of William Sound Inc, the USA customized by Translation India based on world's best available technology. Channel & Volume Display function. Small in size, easy to install, flexible in design and support customization. 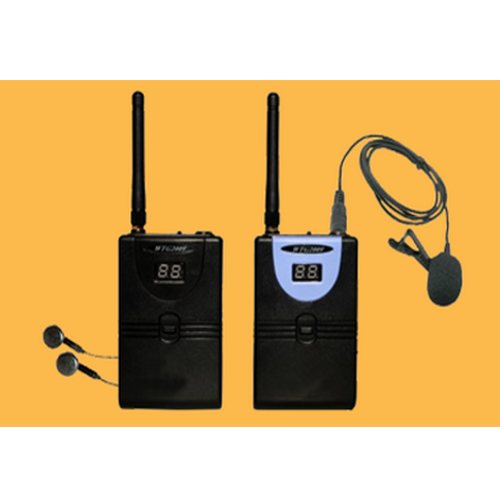 We are leading 2 Way Wireless Tour Guide Systemconsists of an audio transmitter and a set of receiver/transmitters. The guide can speak to the transmitter and visitors can hear from the receivers. When a visitor presses a button on the receiver, he can speak to the handset and all the others will hear him. It allows the visitors and the guide in one group to interact with each other. It is very good for factory tour guide. Two-way transmission allows guide and visitors to interact. The wider band allows crystal clear sound transmission. Advanced microchips to ensure very little noises and compact size. Easy to use a multi-port battery charger. Our company is leading Rental service provider of Tour Guide System with a professional track record in delivery and technical assistance to make your purchase valuable and usable in the everyday requirement of your Tour visits. Looking for “Tour Guide Systems”?